I know that I've mentioned more than once how thankful I've been to have these meals and I really hope that you've all enjoyed them too! I have a little secret... I'm going to be releasing these as a cookbook with some bonus recipes! I'm super excited. There's still a ton of work to do, but I just couldn't keep it quiet for another minute. Now... on to the recipe! Place chicken into gallon size freezer bag. Pour liquids and spices over top. Add green bell pepper. Do not add oranges at this time. Squeeze out any extra air, seal, and place in freezer. Thaw in refrigerator. 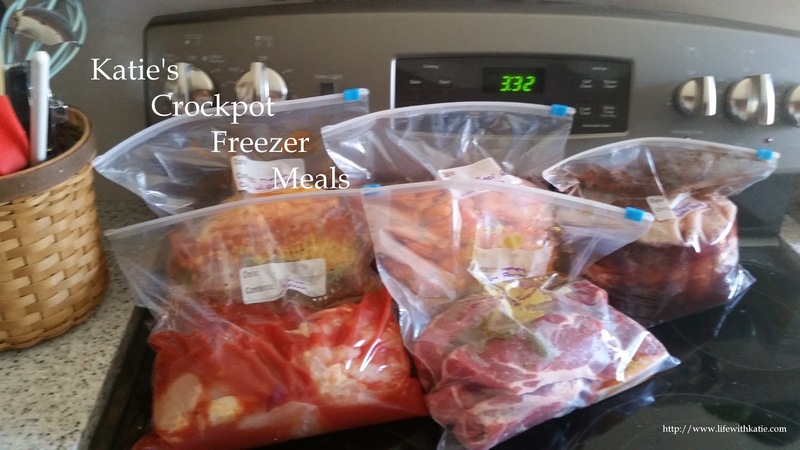 Pour into crockpot and cook on low for 8 hours. With 30 minutes remaining, add mandarin oranges.